Patrick Hogan was born about 1818 in Roscrea, County Tipperary, Ireland, son of Michael (d. Sydney 1853) and Ann Hogan. He was married in Ireland to Eliza (d.1862, aged 45). He died 10 January 1859, aged 41. He was buried in the Roman Catholic section of Devonshire Street Cemetery and his remains were transferred to the Pioneer Memorial Park at Botany Cemetery. In 1840 Patrick Hogan, age 23, a soap boiler and gardener, arrived in Sydneywith his wife Eliza on the ‘Resource’. He soon established himself as a soap and candle maker at 109 Gloucester Street. He formed a business partnership with Owen Caraher who married his sister Catherine in 1842. By 1851 he claimed that Owen and Caraher were one of the city’s largest employers. 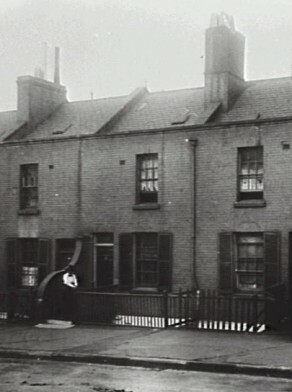 At the time of his death, he lived at4 Princes Street at The Rocks and was a respected member of the local community. Patrick Hogan was Alderman for Gipps Ward, 11 April 1857 until his death in January 1859.